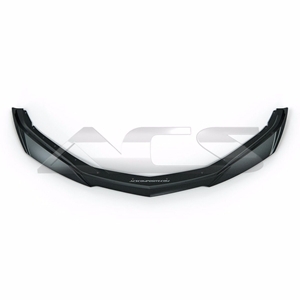 Upgrade your SS with the ACS ZL1 Front Splitter, and give your car the track proven look it deserves. Made from our patented composite material, which combines quality and durability for functional support to all Camaro drivers. This front end addition will set your SS apart from the competition, and turn heads driving down the freeway. The ACS ZL1 splitter was designed using GM data providing you with the perfect fit for your front end. Don't settle for loosely fitting parts, when you can have a splitter that bolts up to your front fascia, as if it came straight from the lot! The ZL1 is GM's track proven car from top to bottom. By adding those components to the SS it is only natural that the performance of your SS will be increased! At higher speeds, the ZL1 Splitter efficiently directs air around the front end while creating down-force for enhanced control.